RV brakes are often at one of two extremes: under incredible stress as you brake your way down a steep mountain, or they’re sitting, unused, while your vehicle is in storage or parked at your favourite RV playground. 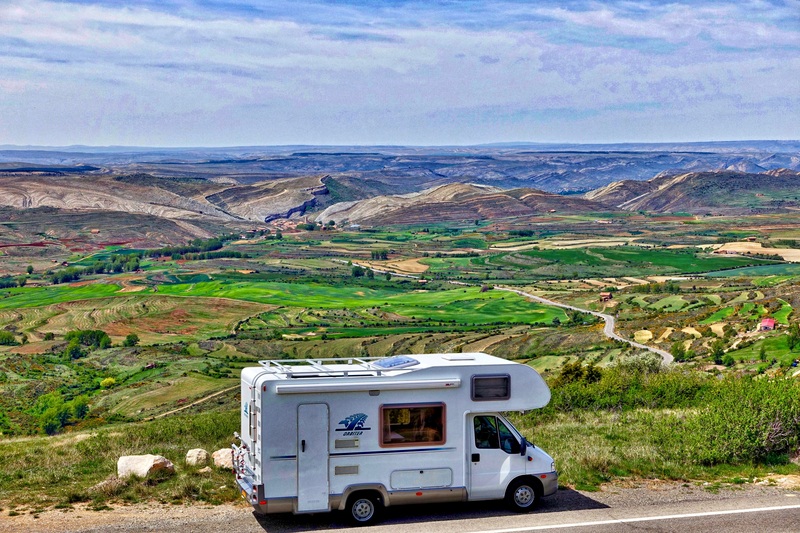 Because of these stresses and seasons, not to mention the critical role the brake system plays in stopping your RV in time, if you missed it in the spring, now is a good time to perform a brake inspection—starting with brake fluid. Brake fluid is the lifeblood of your brake system. It keeps the RV brakes system moving and components performing at their best. Over winter, there’s a chance this fluid can accumulate moisture, and that can end up causing serious damage, from corrosion and leakage to overheating. Healthy brake fluid is clear and transparent, much like cooking oil. When it needs to be replaced, it’s darker, but a simple visual won’t tell you if contaminating moisture is present, so it’s always best to be sure with a professional brake inspection. Another reason why having good brake fluid is so important is you don’t want to risk that fluid boiling and/or evaporating under extreme heat, which is much more likely in a large vehicle like a motorhome that’s generating more heat while braking. Once you know your brake fluid is in good shape, it’s important to have the brake system inspected overall. When RV’s have been sitting all winter, the brake calipers haven’t been riding on the slides, so it’s important those—along with all friction points—are checked and lubricated. Another RV brakes element to have inspected is the emergency brake. After hundreds of miles of driving, RV emergency brakes are very susceptible to coming out of adjustment. That’s because under normal use on a passenger vehicle, for example, the driver would probably use their emergency brakes once or twice a day, but on a motorhome, you’re probably driving 5,000 kilometres in only one direction. The self-adjusting shoes on drum RV brakes (common on motorhomes, especially in the rear) don’t have a chance to reach the drum and create friction, so it’s common for both the emergency brake and the drum brake to come out of adjustment on RV’s. You might be able to tell if the e-brake were out if adjustment if the hand lever or the foot pedal inches up a little more than usual. Again, when you consider the very important work your RV brakes do, it’s worth ensuring they’re properly adjusted. That all-important brake inspection is also a good time to have an oil service performed to help ensure your engine’s going to be performing at its best for the rest of road trip season. Of course, another way to help ensure you’ll safely arrive at your destination is with the right RV tires or trailer tires! Is your biggest RV or motorhome road trip still ahead? Kal Tire ensures you know if your whole Class C motorhome is highway-ready by performing a True Service Inspection. Our report uses green, yellow and red columns to indicate the condition of important vehicle components and help you spot signs of issues early on. Happy brakes, happy systems, happy trails. Visit one of our Kal Tire locations near you!